The "Nemuna" remained at the wharf in Strå while representants of the Classification Society investigated the ship on Mar 5. A decision whether the ship may continue its voyage to Tornio was not expected before Mar 6. The ship had suffered a crack in a ballast water tank that posed, however, no danger. 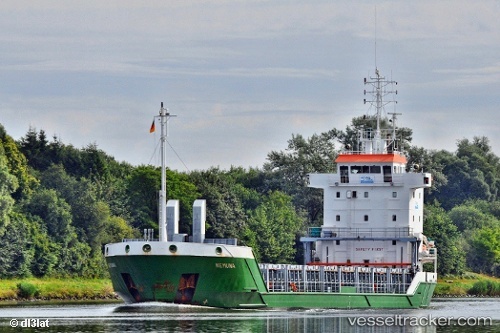 In the morning of Feb 18 the Dutch cargo m/v "Hunzeborg" was in collision with the "Nemuna" in Kvarken. Both ships were underway in a shipping lane broken through the ice by the icebreaker "Balder Viking", the "Nemuna" was underway from from Kiel to Kokkola, the Antigua-Barbuda-flagged "Hunzeborg" from Rotterdam to Lulea. No one was hurt, minor damage.